Safari Kid Nursery Dubai reviews - add yours here. Children from age 4 months old accepted, dedicated babies section for toddlers from 4-18 months old. Safari Kids Nursery and International Pre-School chain established originally in USA. Has branches in Canada, Hong Kong,​ India, Malaysia, USA, and from July 2015 in Dubai, UAE. Facilities in Dubai art studio, indoor play area, outdoor play area, sand pit, swimming pool, studio for dance, drama, and music. Languages include Arabic, English, French (? ), Mandarin Chinese. Summer camp available July-August 2015. Nursery opens for normal classes from September 2015. Domain www.safarikid.ae forwards to www.safarikidasia.com/du/. Principal Fruzsina Benyei was previously director at Kids Cottage Nursery in Mirdif. Location: Villa 36, Street 61, behind Four Points Sheraton on Sheikh Zayed Rd, between Trade Center Roundabout and Defense Interchange. Many popular nurseries are full for 2019-2020. New nurseries in Dubai might have places. 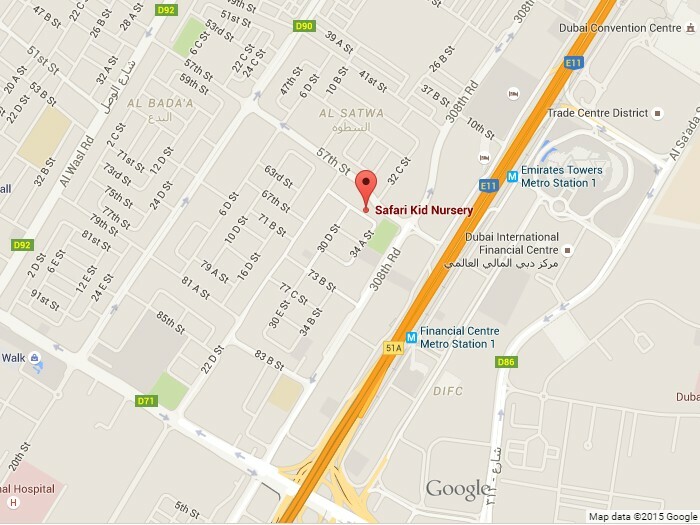 www.dubaifaqs.com/safari-kid-nursery-dubai.php (PDF and print version).